Though the Social Innovations Collaboratory has existed as a university-wide resource at Fordham for four years, it has only recently come to the attention of the students of Fordham at Lincoln Center (FLC). The network was established in 2014 at the Gabelli School of Business (GSB) at Rose Hill and moved to Lincoln Center two years later. Now, thanks to a new gift from Gabelli alumnus Brent Martini, GSB ’86, its assets and resources are finally being brought to the attention of FLC students. Martini’s significant donation of $1 million will aid the collaboratory in hiring new staff. The new space they now have at Lincoln Center is also a result of his donation. “We are a place where students can further explore interests in creating change in the world beyond the classroom,” explained the director of the collaboratory, Carey Weiss. Together, the network seeks solutions to global issues, such as poverty and climate change. “I believe that we’re going to create more impact in the world if we all work together towards solving these big challenges,” Weiss said. As director, Weiss designs and oversees experiential student practica teams. She mentors the students of the collaboratory and links them to faculty, alumni, corporate and non-profit partners to build out social impact outcomes. 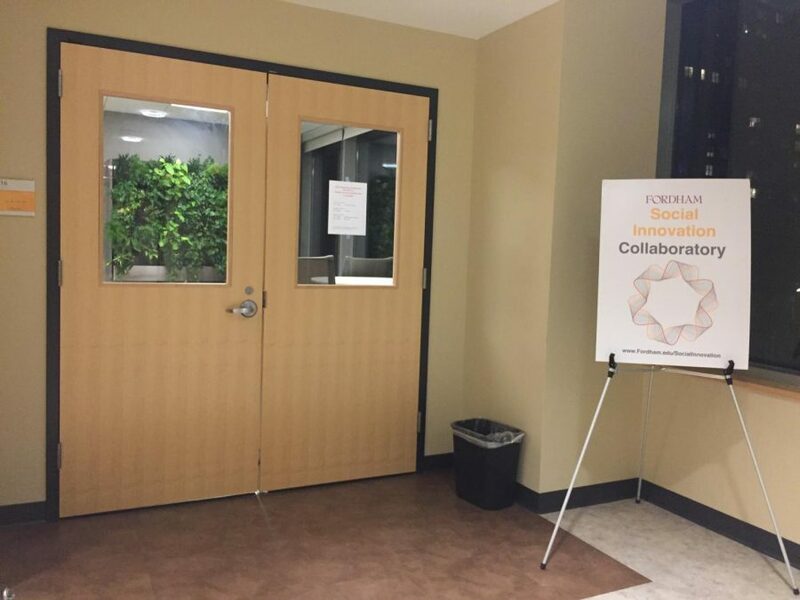 The collaboratory began as an initiative of the Office of the Provost. It is formed by students, alumni, administrators and faculty who work together to promote social justice through innovative projects. These are mainly business-driven and include launching curricular and extra-curricular initiatives on campus. Those global issues “often seem really daunting,” Butler emphasized. “When looking at the systems that exist, it feels impossible.” However, with the United Nations’ proposed sustainable development goals, Butler remains positive that the collaboratory can spark changes in the communities around Fordham. 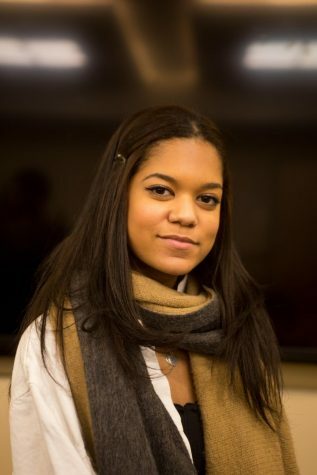 Weiss also manages a number of the network’s relationships, including one with Ashoka U, where she serves as one of the “Change Leaders” for that organization’s global network of changemaker campuses. Fordham is among the 50 schools that are in the campus network, intended to develop changemaking mindsets and skills. As explained on the collaboratory’s website, Ashoka U also promotes institutional change and strives to enhance social innovation in higher education. Other network relationships in the past have included partnerships with BMW and Verizon, and currently Spring Bank. The collaboratory’s space, a lab, features a hot pink couch and a 25 square foot vertical green wall. Open every day, they welcome any student interested in learning about making social change. The collaboratory is currently in the process of hiring a second assistant director, to help staff both spaces at Rose Hill and at Lincoln Center. “There will be more coverage once we have a second professional staff on board,” Weiss said. “We are excited about the continued growth of the collaboratory and the inclusion now of new faculty fellows that were refunded to spur research with student assistance,” Weiss stated. The research, conducted by eight faculty members and two dozen students, is set to be published in December 2019.